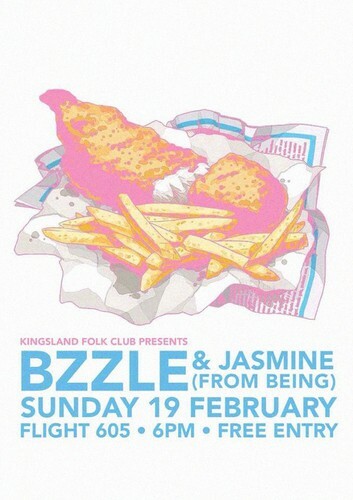 After a whole weekend off, we're really looking forward to jumping back into another bunch of awesome shows from this Sunday, and we're kicking it all off with BZZLE & Jasmine (Being). Matt Bizzle has played with so many awesome bands that it's hard to narrow it down, but we'll try! Superhero Second Line, The Hipstamatics, Strangely Arousing, Brendan Thomas & The Vibes and Gareth Thomas are just a few acts in Matt's repertoire. Drawing inspiration from jazz, hip-hop, EDM, reggae and pop, BZZLE pools these influences to create his own sound with saxophones, a laptop, a loop pedal and a whole lot of musical creativity. He'll be joined by Jasmine, vocalist of psych, melancholy, moon music act, Being.